Overview: If you want a scenic route south and aren’t bothered about being on the coast – or you need to get to Faro for a flight – then this is a very good way of getting down to the Algarve. 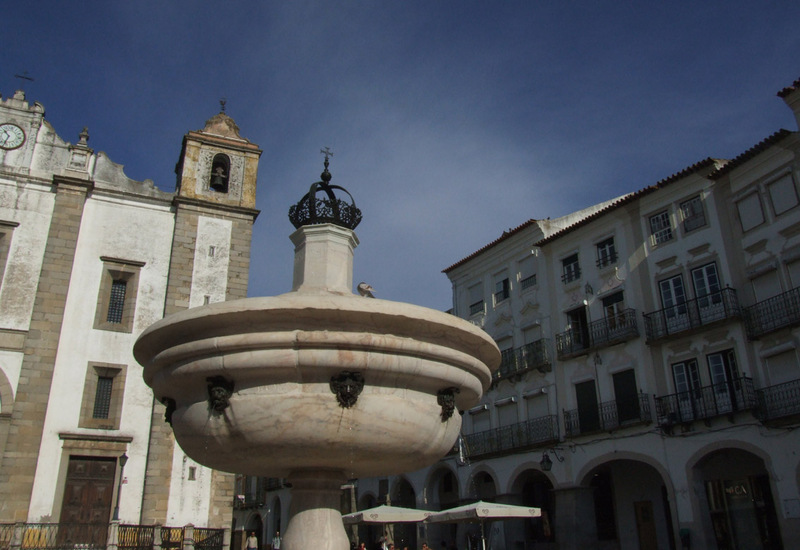 Starting from Évora with its World Heritage architecture, the route also takes in a combination of classic Alentejo towns, rolling countryside – and the hills of the Serra do Malhão and the Serra do Caldeirao on the way to the final destination of Loulé. Now, obviously, you could do this route south to north but I’ve listed it the other way for a good reason. Heading south out of the Alentejo, you’re already at a height of around 300m above sea level and the route to the border with the Algarve is relatively gentle. If you’re into racing, this section also follows part of the route of the mountain stage of February’s Volta ao Algarve. Going the other way is possible but you’re starting more than a 100m lower and there are a couple of climbs that will be real killers for anyone who’s heavily laden! Distance & Difficulty: Total distance is around 195km (122 miles). With the exception a couple of serious hills on the border between the two districts (Alentejo and Algarve) there are no major climbs and most of the landscape is nicely rolling. Roads are mostly in a reasonable condition and fairly quiet. Although part of this route takes you along the N2, there is little traffic on the road and it’s mostly straight and wide enough that visibility is not an issue. One thing to bear in mind, though, the Alentejo and the Algarve can get extremely hot (40C-plus). 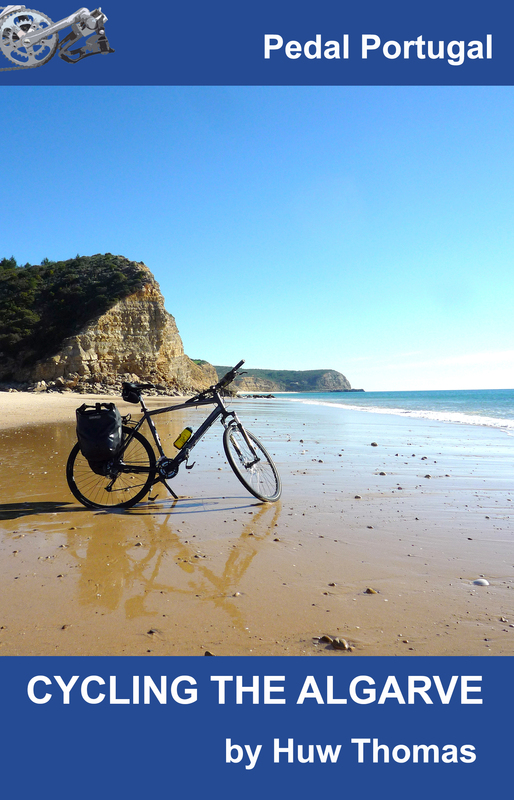 Unless you’re used to this kind of heat, cycling in this part of Portugal between May and September can be hard work. 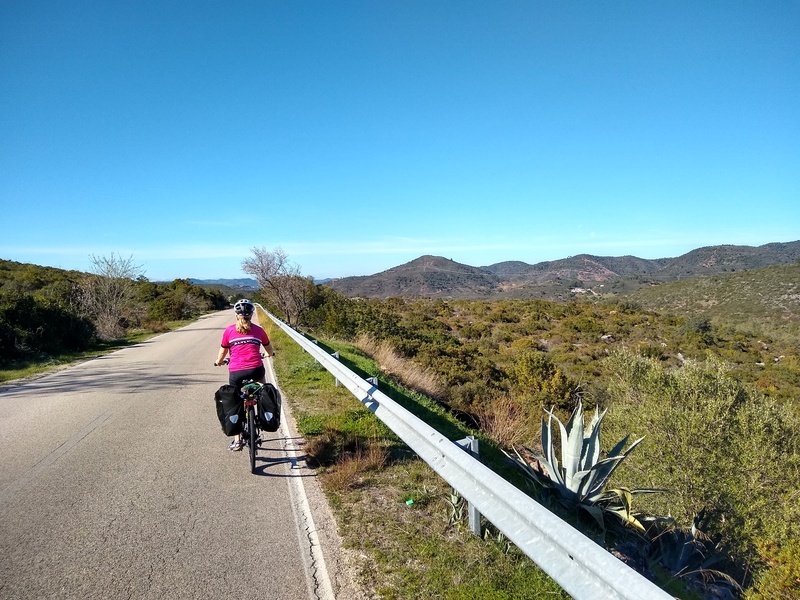 Stages: I’ve broken this ride into two stages – one long (118km) but pretty easy day of riding to Castro Verde and a shorter (77km) but much hillier day to Loulé. 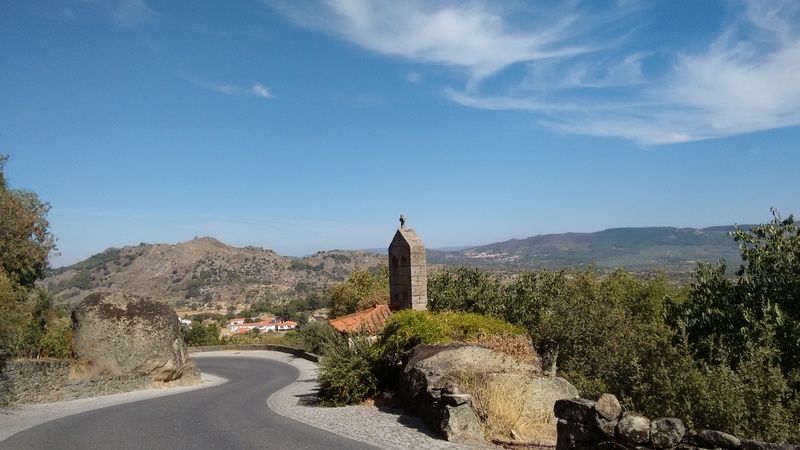 If you want to take more time – and avoid such long distances – you could break the journey at Alvito, 40km south of Évora, to give you a short first day. Almodôvar, south of Castro Verde and close to the Algarve border would also be an overnight option, though I’m not aware of many accommodation choices here. Alternatively, look at the map for the Alentejo Circuit and take the route from Évora to Beja and then onto Castro Verde. The descent from the village of Malhão (52km south of Castro Verde) also features on the Algarve Hills day ride. 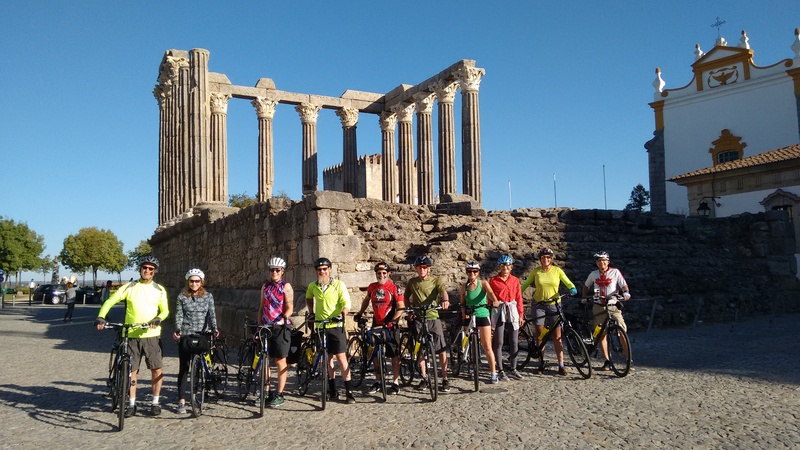 Incorporating this into the route, gives an option for an overnight stop in the extremely pretty Algarve village of Alte (69km from Castro Verde) and then continuing on to Loulé via Boliquieme (42km). 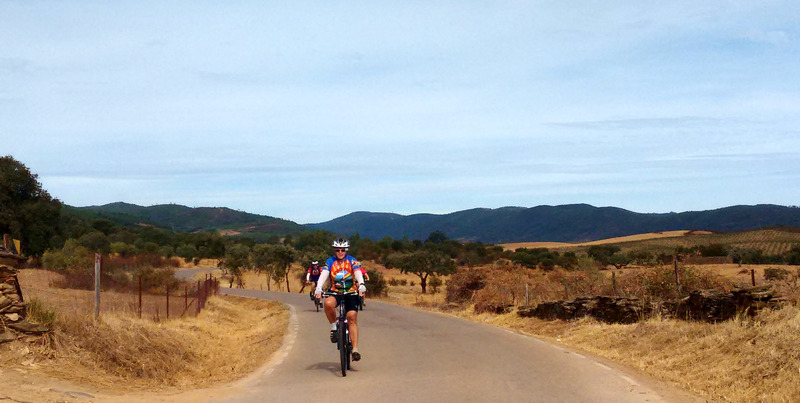 Castro Verde has a good municipal campsite and several small hotels and guesthouses. 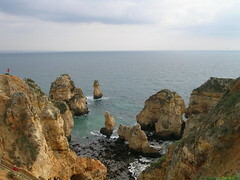 There’s no campsite in Loulé – the nearest ones are probably down on the coast – but a range of other accommodation. You can find supermarkets in Évora, Viana do Alentejo (north of Alvito) and Loulé. 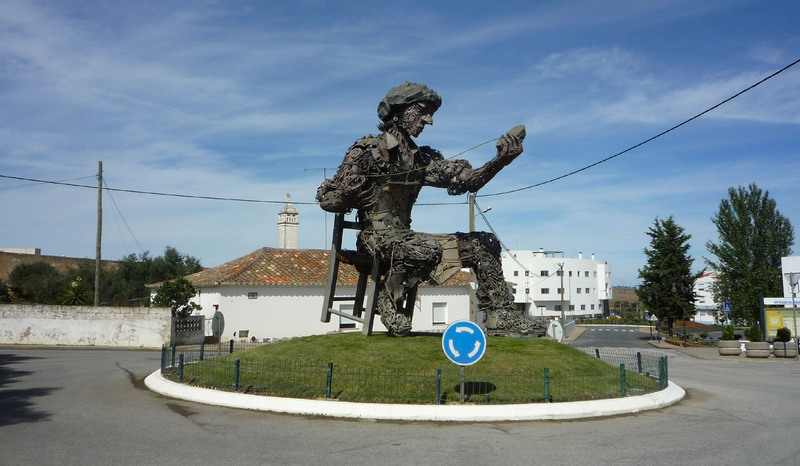 Along the way, you’ll also find shops for provisions – plus cafes – in Ferreira do Alentejo, Aljustrel and Almodôvar. There are a couple of small villages with cafes between Almodôvar and Loulé but nothing much else. Hi,thanks for supplying all this it looks ideal . I’ve planned a camping trip for all of march flying to/from Faro this looks ideal uphill of course but then head west and down the coast. Just wondered if places will be open etc. I’m retired and getting back into this so no need for any long days! Easier option might be the other way round! You can go north from Faro but it’s a huge climb that way. It’s not gentle coming south but the ascent of Malhao in particular is a beast. You should find campsites on the coast are open in March but best to contact them/look at websites to be on the safe side. Coming south, I don’t know about the one at Castro Verde – would definitely recommend an email to check. Other than that, you might need a guesthouse or two but that can be a welcome break from camping. Hello. We’ll be in Portugal in mid November. Would this route work well given weather at that time of year? Possibly! The weather can be great in November or it can be damp and cold – impossible to predict. We’ve had both when we lived in Portugal. Days won’t be long in November but you can be lucky and get days of blue skies and sunshine (but often bitterly cold at night)… or you can be unlucky.